What has been the relationship between the history of war and the various ways it has been portrayed on the big screen in the cinema? A new exhibition, Real to Reel: A Century of War Movies, promises plenty of answers to such questions. 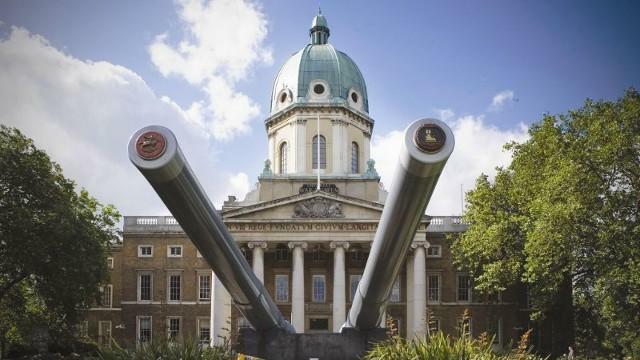 The special exhibition will take place at the Imperial War Museum (IWM), in London, which is arguably one of the museum gems of Britain’s capital city. The IWM is located in Lambeth, near Lambeth North tube station, and not far from Waterloo mainline station. One of the nice things about being at Kingston University is that we are just 20 minutes or so away from central London by train, and this presents some great opportunities. If you are looking for somewhere to visit this coming summer, and are interested in the interaction between history and the cinema, then this new IWM event could be an ideal way to spend a day out. The exhibition is being mounted to mark the 100th anniversary of the release of the original war blockbuster, The Battle of the Somme, and it will explore how film-makers have found inspiration from war’s inherent drama in all its forms to translate stories into movies for the big screen. Personal stories and surviving wartime artefacts will be on display alongside film industry props, scripts and set designs. According to the IWM, the main aim of the exhibition will be to look at the reality behind many of the fictional stories that have been seen in some of our most well-known and powerful films over the years, including Carve Her Name With Pride, The Dam Busters, Lawrence of Arabia, Battle of Britain, Where Eagles Dare, Apocalypse Now, Jarhead, Saving Private Ryan, Atonement, and War Horse. Storyboards from Francis Ford Coppola’s controversial but highly memorable Vietnam War movie Apocalypse Now will be shown alongside a uniform worn by James McAvoy in Atonement and some rare costumes from Carve Her Name With Pride. The latter film told the very moving story of French-born secret agent Violette Szabo, who was executed by the Nazis after parachuting back into occupied France in World War Two and refusing to break under torture. The IWM exhibition will also examine the now-famous The Battle of the Somme, a propaganda film which was actually made on the Western Front and shown to British domestic audiences while the battle was still going on. It was a watershed moment in key ways. For many British civilians it was their first glimpse of what military conflict and life was really like for their loved ones serving abroad in the Great War. The extent to which film-makers put an emphasis on accuracy (or not) will also be explored in relation to the opening scenes of Saving Private Ryan, the Steven Spielberg epic which vividly recreated the events of the morning of D-Day in 1944. Similarly, there will be examination of the real man behind the myth shown in David Lean’s epic and award-winning World War One movie Lawrence of Arabia, the story of the Arab revolt and T.E. Lawrence’s guerrilla activities behind Turkish lines in the Middle East. What was myth and what was reality? Did the movie over-glamourize the beguiling story of Lawrence, or did screenwriter Robert Bolt inject some quite subversive messages into the film about British colonial policy and the continuance of empire? IWM curator Laura Clouting told the London Evening Standard: ‘Through an array of objects, Real to Reel: A Century of War Movies will explore the enduring fascination with war on the big-screen: why film-makers have been inspired to make war movies, how these stories are brought to life on screen and their ability to influence our understanding of war’. She added that the exhibition will also look at the ‘different kinds of audiences’ war films have attracted. Details of the planned exhibition were announced just as a new film about war, Eye in the Sky, hits British cinemas. The movie, which stars Helen Mirren, deals with the moral issues involved in drone warfare and the increasing role of women in the modern military. Real to Reel will be at the Imperial War Museum from 1st July, 2016, to 8th January, 2017. This entry was posted in Archives, British history, Events, Media history, Museums, Public History, Teaching and tagged Archives, civic engagement, Explore Your Archive, Film, Heritage, history, Public History, World War Two. Bookmark the permalink.